The Great River Road was created in 1938. 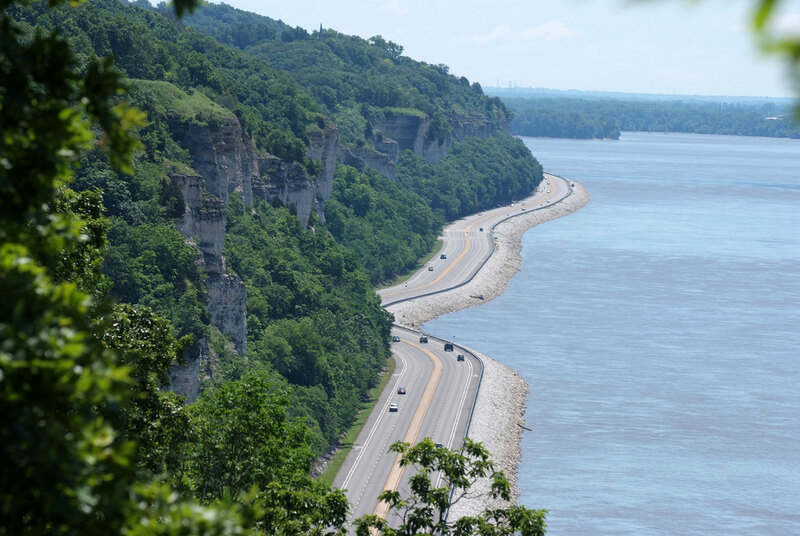 The Great River Road runs through about 110 counties and parishes. In the year A.D. 1250, the ancient metropolis of Cahokia, Illinois, was home to more people than London. Iowa’s 500-foot Pike’s Peak was named for Zebulon Pike, who explored the Upper Mississippi River in 1805. Waterskiing was invented on Lake Pepin, located between Minnesota and Wisconsin. The Gateway Arch in St. Louis, Missouri, is 630 feet tall. Tennessee boasts some of the finest and most famous whisky distilleries in the world. Kentucky is widely renowned as the center of the time-honored art of distilling fine bourbon. Mississippi’s catfish farms produce the majority of the nation’s farm-raised catfish. Louisiana was named after the Fourteenth King of France. Iowa is the birthplace of President Herbert Hoover. Missouri is known as the “Show Me” state. Illinois has the largest population of all the states located along the Mississippi River.